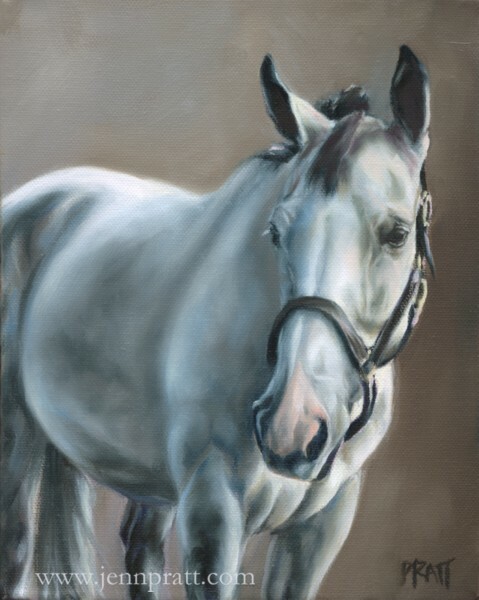 New Work ~ | Jennifer Pratt Equine Artist. It’s rather amazing what happens when faced with a deadline. Things are moving in a rather streamlined fashion here in the studio in preparation for my show in Sweden. I would like to share with you two new works off the easel in the last week ~ I feel these works clearly illustrate the two sides of myself as an artist; one bold and colourful, the other modest and serene. Both subjects depicted are upcoming commissions which will be completed in larger format. I’m always excited when you post new work. It is so beautiful! Your ability to capture the personality in your subject’s eyes is unbeleivable! You’re my inspiration to pull out my easel and start experimenting again. Best wishes for a very successful show in Sweden! thank you Maggie ~ the years of eye studies do pay off ! 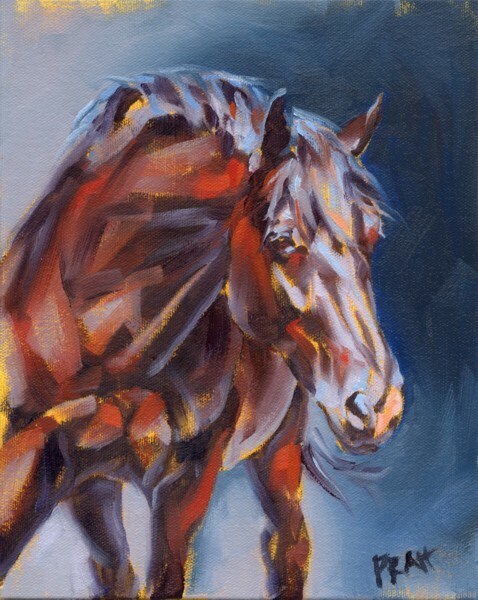 it is amazing how one little dab of the brush can completely change a horses expression. More for Sweden coming soon!! They are both so beautiful! I am sure that the owners are going to love them. Your work is absolutely STUNNING!! !